Panama City Beach — Front Beach Rd. & Back Beach Rd. Family-friendly places like Beach at Panama City and Bear Creek Feline Center will thrill your kids. Take a break from the city and head to St. Andrews State Park and Scuba & Snorkeling. The adventure continues: do a tasting at Panama City Beach Winery, have some family-friendly fun at Wonderworks, buy something for everyone on your list at Pier Park, and admire the natural beauty at Gulf World Marine Park. To find other places to visit, ratings, where to stay, and more tourist information, read our Panama City Beach trip itinerary planner. Chicago to Panama City Beach is an approximately 5.5-hour combination of subway, flight, and taxi. You can also drive; or do a combination of bus, subway, and taxi. The time zone changes from Central Standard Time (CST) to Eastern Standard Time (EST), which is usually a 1 hour difference. Expect warmer weather when traveling from Chicago in December: highs in Panama City Beach hover around 66°F, while lows dip to 44°F. 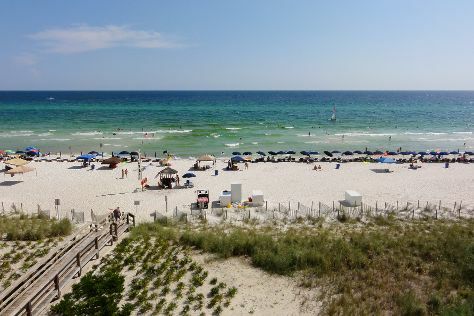 Finish your sightseeing early on the 26th (Mon) so you can drive to Destin. Step out of the city life by going to Henderson Beach State Park and Santa Rosa Beach. Bring the kids along to Okaloosa Island and Crystal Sands Beach. Take a break from Destin with a short trip to Grayton Beach State Park in Grayton Beach, about 44 minutes away. And it doesn't end there: don't miss a visit to Destin Harbor Boardwalk, explore the activities along Destin Harbor, discover the deep blue sea with a scuba or snorkeling tour, and look for gifts at Sexton's Seafood Market. For other places to visit, traveler tips, and more tourist information, read Destin holiday planner. Traveling by car from Panama City Beach to Destin takes 1.5 hours. Alternatively, you can drive. Traveling from Panama City Beach to Destin, you'll gain 1 hour due to the time zone difference. 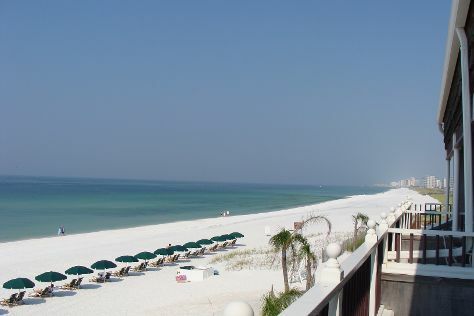 In December in Destin, expect temperatures between 63°F during the day and 47°F at night. Wrap up your sightseeing on the 30th (Fri) to allow time to drive to Pensacola Beach. Pensacola Beach is an unincorporated community located on Santa Rosa Island, a barrier island, in Escambia County, Florida, United States. Kids will enjoy Pensacola Beach and Uncle Sandy's Macaw Bird Park. We've included these beaches for you: Navarre Beach and Gulf Islands National Seashore - Florida District. Explore Pensacola Beach's surroundings by going to Island Style (in Navarre) and National Naval Aviation Museum (in Pensacola). There's still lots to do: tour the water at your own pace with Hot Spots Fishing Charters, explore the striking landscape of Veterans Memorial Park, and look for gifts at Crabs We Got Em. To see other places to visit, reviews, more things to do, and tourist information, read our Pensacola Beach custom trip planner. Traveling by car from Destin to Pensacola Beach takes 1.5 hours. Alternatively, you can drive. In December in Pensacola Beach, expect temperatures between 68°F during the day and 49°F at night. Finish up your sightseeing early on the 1st (Sun) so you can travel back home.